It took a fair amount of courage to stand against the tide of secession in the South in 1860-1861, but not even his most determined enemy, and he had many enemies, could say that Sam Houston ever had a shortage of that virtue. 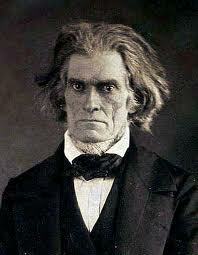 As an ardent Unionist he fought secession every step of the way. As I outlined in an earlier post, which may be read here, he realized that secession was a disaster for the South, and with eerie accuracy predicted a great war and military defeat for the South. 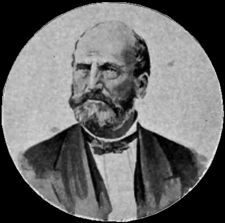 Houston, as governor of Texas, refused to bring the state legislature back into session to consider secession. The Secession Convention, which held its opening session on January 28, 1861, voted to abrogate the treaty of annexation with the US on February 1. Secession was put to a popular vote and won at the ballot. Texas was admitted to the Confederacy on March 1, 1861. Houston never recognized the legality of any of this, and refused to take the oath of allegiance to the Confederacy. I think the anti-Walmart campaign popular on the Left is a deplorable assault on a business that gives employment to many Americans, often of modest means. However I cheer the successful effort to block Walmart building on the Wilderness battlefield. Too many Civil War battlefields have been lost to development and we must protect the remaining ones as a precious legacy not only for all Americans today, but also for all Americans tomorrow. My co-blogger Paul has a first rate post here at The American Catholic in which he discusses why nullification, the idea that a state can opt out of a federal law, is a truly bad idea. In the comments to the post Thomas Woods shows up. Mr. Woods is the foremost promoter of nullification today. One of the many hilarious things about this latest boomlet for nullification created by Thomas Woods and his cronies in crankdom, is how it flies in the face of American history, not only in theory but in practice. They seize upon the Kentucky Resolutions and the Virginia Resolution of 1798 without really understanding what was going on. These were part and parcel of the ongoing political war of the Republicans against the Federalists, and as political theater they were quite successful in helping rouse public fury against the Alien and Sedition Acts which led to Republican victory at the polls in 1800. Once the Resolutions had helped achieve success at the polls, they were quietly abandoned by the Republicans since they had served their political purpose. 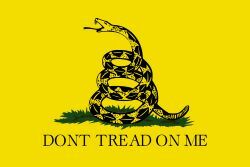 Adopted by the Tea Party as the symbol of their movement, the Gadsden Flag goes back to the very beginnings of the Republic. Benjamin Franklin was indirectly responsible for the flag. 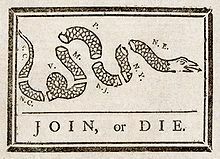 In his Pennsylvania Gazette on May 9, 1754 he published a cartoon of the 13 colonies as a rattle snake and how desperately unity between the colonies was needed. The peaks of Notre Dame history are shrouded in the mists of war. I think it was in 1964 when I read my first book on the Civil War, The American Heritage Golden Book of the Civil War, and I immediately thereafter developed a life long passion for the subject. Over the intervening 47 years, I have read hundreds of books on the War. Truth to tell, more than a few of the books I have read on the Civil War have left me with a ho hum feeling, not telling me much that I haven’t read many, many times before. I am therefore always pleasantly surprised when a tome on the Late Unpleasantness can give me lots of new information, and such is the case with Notre Dame and the Civil War, by James M. Schmidt. Mr. Schmidt, knowing of my interest in US Catholic Chaplains in the military, was kind enough to send me a review copy, and I am glad that he did, as he has brought forth facts and new pieces of information about Notre Dame and the Civil War that I have not read elsewhere. Many Protestant denominations in the country were ripped asunder North and South by the Civil War and the decades of turmoil leading up to it. Not so the Catholic Church in America. As a global Church, it was not unusual for Catholics to find themselves on different sides in civil wars or national conflicts, and there was never any threat to the unity of the Church in America. Individual Catholics fought bravely for both the Union and the Confederacy. The Catholics of Notre Dame, except for a few students from the South, were whole heartedly for the Union. Even before the Civil War, as Mr. Schmidt brings out, Notre Dame students were preparing to fight. Two student military companies were organized in 1858, part of the craze for militia companies, well drilled, in fancy uniforms that swept the nation in the late Fifties. It was fun being a part time soldier: drills, nice uniforms, parades, pretty girls cheering on the side lines. Many of the students of course were soon to have first hand knowledge of darker aspects of military life. Schmidt skillfully relates the fever to enlist in the Union army that swept through the students of Notre Dame after Fort Sumter. Along with their students, Notre Dame priests also served as chaplain. Most famous among them was of course Father William Corby, who marched and fought with the Irish Brigade and who gave them mass absolution on the second day at Gettysburg before they charged into battle. The book relates the adventures of Father Corby, but also relates the stories of other Notre Dame priests who served as chaplains, including Father Paul E. Gillen, Father James Dillon, Father Joseph C. Carrier and Father Peter P. Cooney, all of whom will be featured in posts in the future.